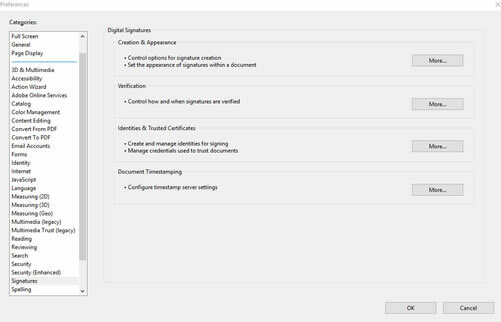 How to Export Digital Signatures? 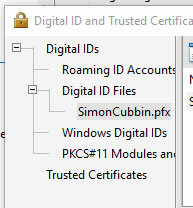 OK, how do I export an ID? Here are instructions detailing on how you go about sending the signature you created when you first signed a document to somebody else. This way whenever you sign and send a document they can validate that it comes from you. Click on the Export button at the top of the box. 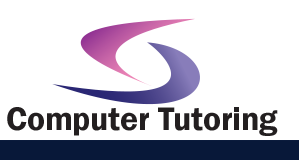 Choose whether or not you want to Email the file to someone or Save the data to a file and transfer the certificate to them manually. (The latter is the more secure method). Follow through the wizard and save the file and get it to your work colleague for them to install.